A new two-man fansubbing group, OM Fansubbing Group (OMFG) recently released another great tokusatsu series in the form of Choriki Sentai Ohranger! 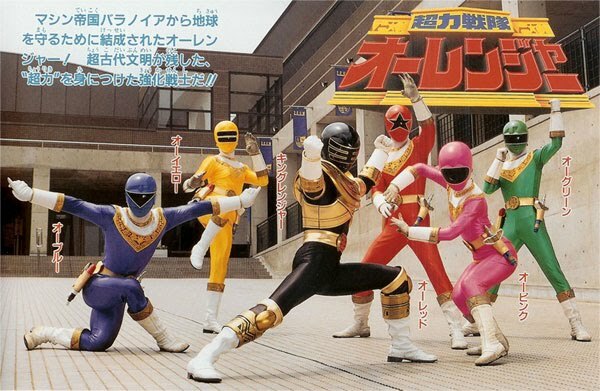 It is the 19th Super Sentai series which was later adapted into Power Rangers Zeo. In the year 1999, Bacchus returned to Earth as the ruler of the Baranoia Empire, with the intention of wiping out all human life and bring about machine rule. Chief Counsellor Miura revived super energies that had been born of the lost civilization of Pangaea. Miura built a pyramid to generate Tetrahedron power in order to allow five UAOH officers to transform into OHRangers.